Ski racks are important for any type of adventure during the winter season. The best equipment is that which is functional, sleek, cost effective, and efficient to meet your needs. Moreover, the racks should be easy to use and install. They should have the proper security mechanisms that can protect your equipment. 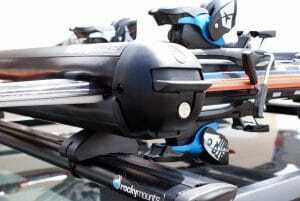 The following ski rack review is a rundown of some of the best of these equipment available. 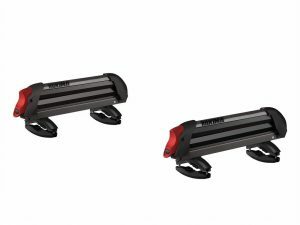 This snowboard rack is the ideal one that is made for vehicles that have elevated factory rails. IT does not need a bass rack system as it can be attached directly to factory rails. Moreover, it has versatile dual angle system that facilitates its use and ensures maximum loading capacity. The dual opening present ensures that the equipment can be accessed from all sides of the vehicle. It has the potential to hold some six individual skis and other accessories. The pros of the product are that it can work perfectly as it is easy to mount and open. The cons are that a lot of wind noise can be created by using this product. This is a unique product that allows the user to carry 2 pair of skis, which is ideal for those looking for an extra treat or in an eventuality. It is safe and secure for skis or snowboards. There is extra security through the key locking system. Moreover, it has a soft rubber molding that can be used to protect the equipment that is mounted. The product comes with a lifetime warranty while it also has a fit kit that enables the user to attach any cross bar. One advantage of the product are that it can be fit perfectly while it makes easy for traveling. 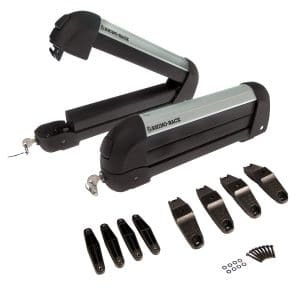 This product allows you to carry four pairs of skis or snowboards. 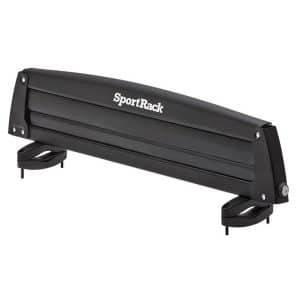 The rack has a fuel efficient and quiet tubular design. The user can find convenience through the one touch push button lever for loading and unloading. Additionally, the plus padding helps to hold the skis and snowboards in an efficient manner. There are locks to ensure that the rack can be locked properly to the car. 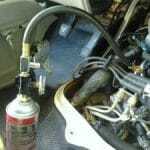 The product has additional mounting options that can be used in many cars such as Audi, Volvo, BMW, and others. The pros of this rack are that the pricing is appropriate with superb functionality and easy installation. It has pedestals that can be used for elevating any bulky bindings. However, the security options are limited as the cables are only 1/8” diameter that can be easily cut by any potential thief. This product can be easily attacked to any vehicle rack system while it includes raiser blocks for support. There are locks which add to the layer of security to protect equipment. The pros of this product are that it performs well. It is a versatile product for your skiing needs. However, the cons are that there are problems with the locking systems. Also it can hold get crestor for only 2 skis which limit its efficacy. The rack can be fit on any car without much trouble and therefore makes for ease of transportation and storage. It is a versatile and functional product designed for the users. It is capable of holding 6 pairs of skis or 4 snowboards. However, it is important to check the width of the equipment that will be loaded. 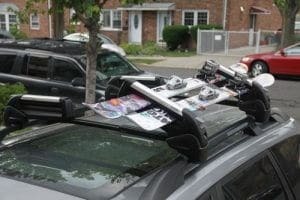 This is a versatile ski and snowboard rack that allows the user to place 6 pairs of skis or 4 snowboards. It is the perfect rack for adventuring in the winter with friends and family members. Furthermore, the product has a large push button release designed to open it in an easy manner. There are rubber arms that help to safeguard the skis and boards. Locks can enable high levels of security and protection for your equipment. The pros of the product are speedy installation with good instructions. The key lock is superb as it works in an efficient manner. The cons are that the locks do not perform in an efficient manner. This product has wide loading platform for 4 snowboards or 6 pair of skis. It has telescoping arms that can be used for sliding the skis and snowboards from the roof to the side of the vehicle. There are telescoping pull top carrier for maximum efficiency. Moreover, it has a SpeedLink mounting system for usability and functionality. The pros of the product are that it can be installed in a quick manner as it does not have any complications. It can be used to carry full load of skiing equipment. The locking mechanisms are fantastic for security. However, the cons of the product are that it is difficult to slide the rack in and out. The latching of the racks down onto the skis is something that can be difficult. This product has low profile that helps to provide improved aerodynamics. Moreover, there is a smart vertical spring system so that the thickness of skis can be accommodated. There are T-track feet that help to safeguard vehicle roofs and raise carrier. 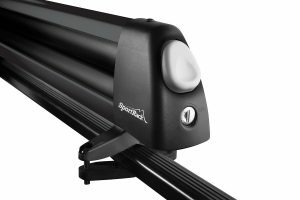 It can be used to attack Thule rack systems, round bars, and factory racks. The carrier is designed in a sleek and solid manner with its heavy duty rubber inserts that helps to hold the equipment in piece. The locking mechanism is fantastic to secure the equipment in an efficient manner. 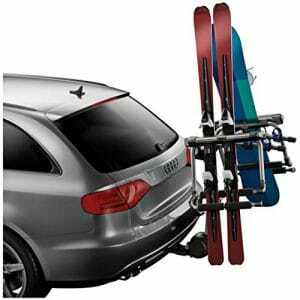 This ski carrier is a cost effective one that allows you to place 4 pairs of skis or 2 snowboards. 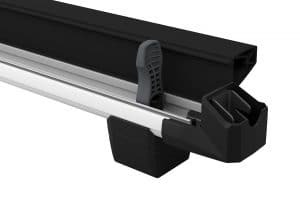 IT has universal mounting hardware designed for all types of crossbars. There is a glove friendly button that allows instantaneous access to skis and boards. There are soft rubber edges designed to protect the equipment from scratches. The various ski racks are designed for the various needs of different types of customers. You should select the best product that is appropriate for your needs and requirements.